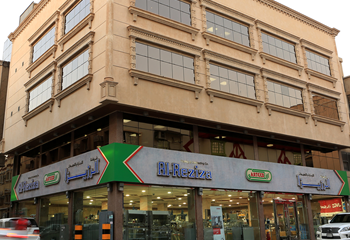 Al-Reziza Trading & Contracting Co., has been one of the leading companies in KSA since 1974. We are specialized in two main categories, the food service equipment and oil field equipment. We've served the most reputable companies in the country, from hospitality to the oil industry. Our services include professional experienced personnel, with the latest technologies, concentrating to provide exceptional timely services. Al-Reziza has served for over 40 years equipping branches all through the kingdom, from restaurants, to hotels, hospitals, bakeries and much more. Serving the most up to date technology brands in various ranges for food and oil services, allowing you to get the right machine for your business. At Al-Reziza we value the after sales service and have well trained engineers adn technicians at your service. We're famous for our top quality in this field. We value the most valuable approaches in our work, including honesty, professionalism, integrity, great communication, reliability, and respect. Fryers, heaters, toasters, crepe makers, ovens, all from the famous brands. Ice cube makers, trays, blenders, mixers, cabinets, and much more. Casing, tubing, pup joints, couplings all drilling equipment at your hands. Gas industrial materials provided for famous brands all over the kingdom. ARTCCO has provided equipment for institutions, hosptials, restaurants, hotels, bakeries and of course for oil and gas companies. ARTCCO is proud to have reliable staff providing professional and respectable service, and 100% customer service guarantee. With over 40 years of experience in this field, ARTCCO has sealed over 100000 contracts in the food and oil/gas equipment area. ARTCCO has over 200 employees in the Kingdom and as a leading company in its field, you can join to get to the next level. for the Middle-East, Europe, and Africa for all brands.